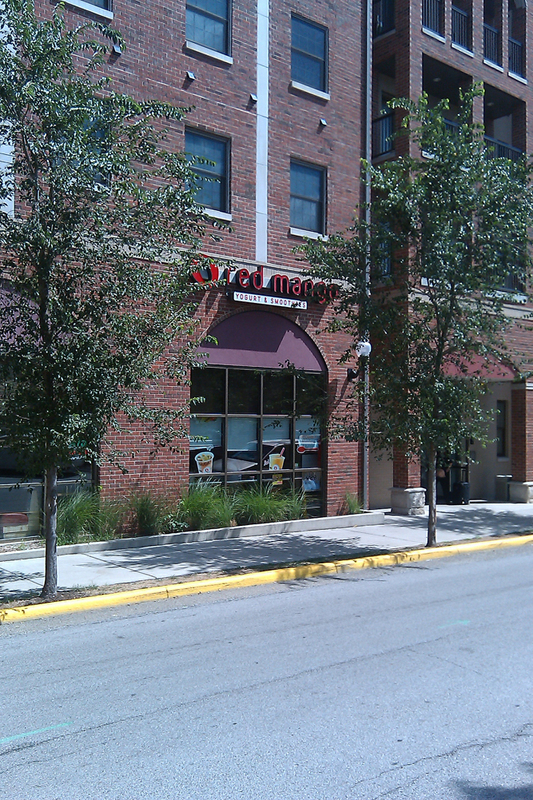 Red Mango is a frozen yogurt shop that I had heard a lot of buzz about on campus. I read about it in the newspaper, a lot of my friends were telling to go ahead and try it, and me, with a weakness to any dessert, finally caved in and stopped over after coming back from dinner down on Chauncey Hill. And I have certainly become a frequent customer since then. Red Mango revamped its storefront to now become a self-serve frozen yogurt bar, featuring over 8 different types of flavors as well as over 20 different types of toppings. You can go for healthy with the fruits, sinful with the candies (and even cheesecake chunks! ), it’s all about what kind of mood you are in when you go. I, for one, am never the type of person to pass up candy in my dessert, so you will more than likely find Reese’s chunks, M&M’s, brownie bits, cookie dough, and a whole assortment of goodies in my yogurt cup whenever I walk out. 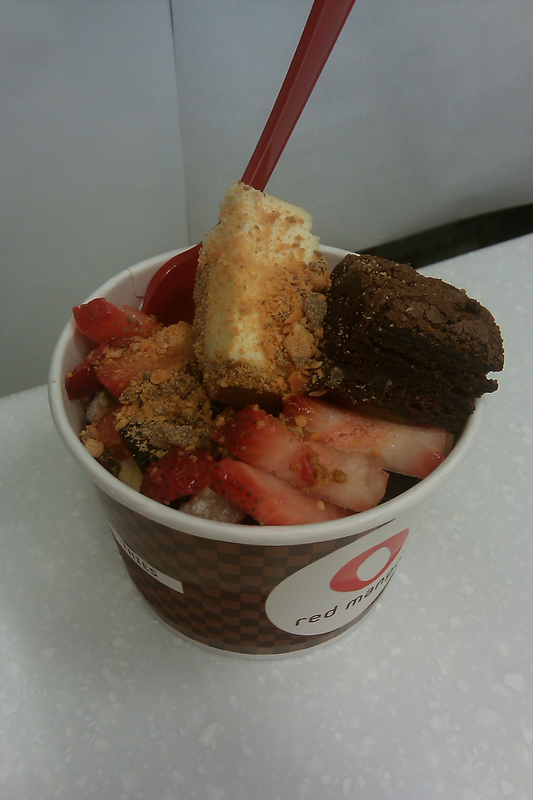 Red Mango offers a lot of variety, which leads to tons of combinations. It’s always a treat to see what you can come up with each visit. The interior is really well-lit and it is always very clean in the storefront. There is a limited amount of seating available inside, however, but most of the time my friends and I sit outside to enjoy our frozen yogurts. The employees there are very nice at the register, and are always willing to help you out if you need anything on the self-serve line. Since it is self-serve, prices are based per ounce. Red Mango’s rule of thumb is $0.45/oz., which I say is a pretty fair price, all things considered. Just be careful how much you load up, or it could get expensive quickly.